We removed the old Subaru radio and replaced it with a new Bluetooth enabled Alpine radio, this gives full hands-free calling and the ability to stream music. The integration of the new unit allowed the use of cars original steering wheel controls. 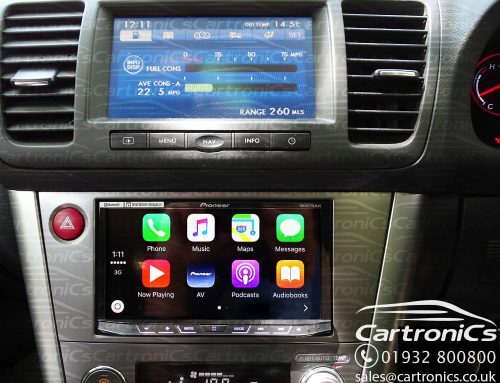 Cartronics stock the full range of Alpine radios and can install on the same day.